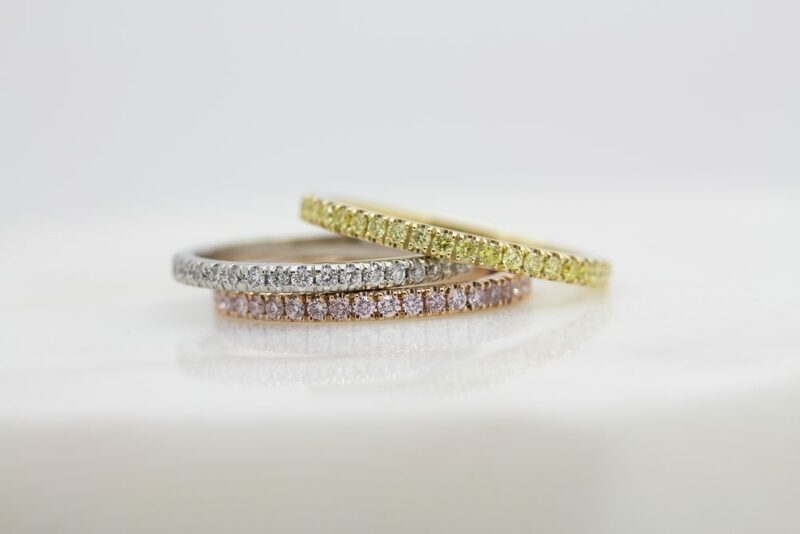 We take a look at these stunning diamond stacking rings – perfect as a wedding ring, anniversary gift or a romantic eternity band. 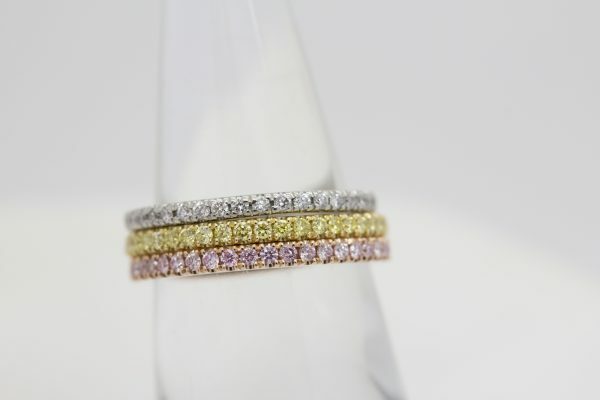 Crafted in yellow, white and rose gold, each metal colour is married with pavé-set diamonds of a matching colour tone. These can, of course, be mixed and matched by using different gemstones or metal colours to achieve your desired finish. 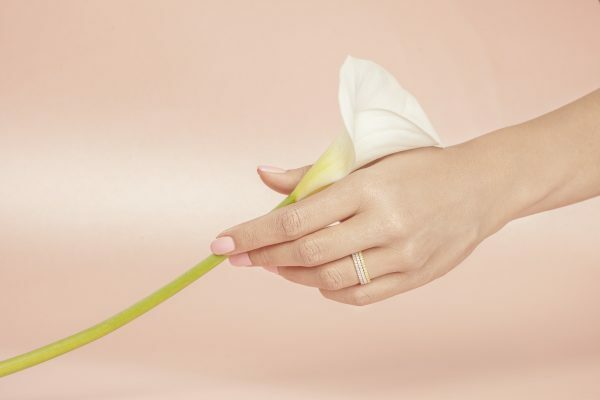 These rings can be gifted for your nuptials, as an eternity ring or anniversary celebration – a romantic symbol of your everlasting love. They can be worn alone or stacked or even sit flush against an existing engagement or wedding ring, offering the perfect level of sparkle to your jewellery collection.